This Legends of Houston Astros Baseball 16x20 photo has been personally hand signed by 16 former Astros players, including Alan Ashby, Kevin Bass, Jeff Calhoun, Jose Cruz, Danny Darwin, Glenn Davis, Jim Deshaies, Bill Doran, Phil Garner, Billy Hatcher, Bob Knepper, Hal Lanier, Jim Pankovits, Terry Puhl, Craig Reynolds & Dickie Thon. All of these players were members of the 1986 Western Division championship Astros team. 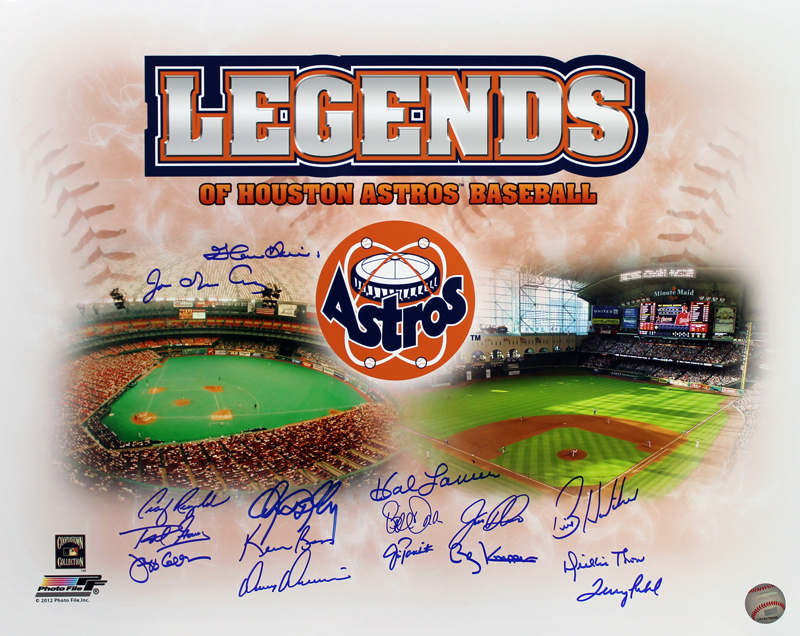 Each autographed photo, picturing both the inside of the Astrodome (the Astros' former home stadium) and Minute Maid Park (the Astros' current home stadium), includes an individually numbered, tamper-evident TRISTAR Authentic hologram.